Racetracks across the Monster Energy NASCAR Sprint Cup circuit have embarked on ambitious capital improvement projects in recent years to make the country’s most popular form of motorsports even more entertaining for fans and competitors. Tracks committed tens of millions of dollars toward more comfortable stands, track reconfigurations, new fan zones, better cellular and Wi-Fi signals and improved traffic flow to make for the ultimate experience. So it’s funny when No. 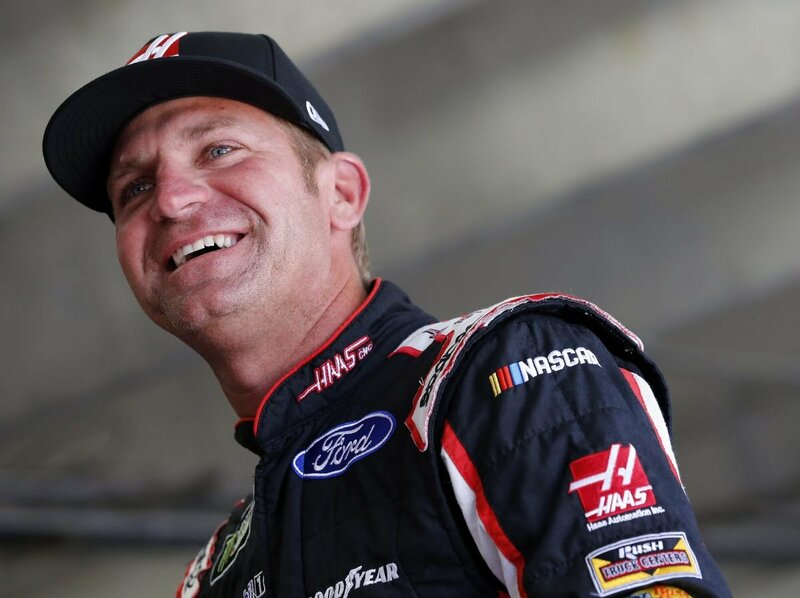 14 Haas Automation Ford for Stewart-Haas Racing (SHR) driver Clint Bowyer said drivers and the 70,000 fans attending Sunday’s 500-mile race at Atlanta Motor Speedway will be the biggest winners from an action the track’s management decided not to do in 2018 – repaving the 21-year-old racing surface. New pavement usually creates much better grip and faster speeds that often result in a one-groove racetrack on which passing is difficult. That typically results in single-file racing, something Bowyer says neither drivers nor fans enjoy for 500 miles. He says the Atlanta track, where the Cup Series will battle Sunday, is just the opposite. Its slick surface is difficult to navigate but offers several grooves and plenty of passing opportunities. Bowyer said it doesn’t take long to remember he is racing at Atlanta. Bowyer and SHR’s No. 14 team led by crew chief Mike Bugarewicz hope to improve upon their 15th-place finish posted at last weekend’s Daytona 500, where Bowyer suffered engine issues midway through the race. Bowyer showed his No. 14 Ford was one of the fastest on the track and, after avoiding two multicar accidents, appeared ready to race for the lead in the final stages. Bowyer is still looking for his first top-five at Atlanta, but that isn’t indicative of his performance history at the track. He led 52 laps at Atlanta during the March 2008 race before finishing sixth. The most heartbreaking moment at the track came in September 2013, when he led 48 of the first 192 laps before engine failure. In total, Bowyer has led 115 laps at Atlanta but only has four sixth-place finishes to show for the effort. Last year, he started 25th at Atlanta but quickly showed he had one of the fastest cars on the track by driving to third with just 85 laps remaining. Fender damage led to a cut tire and a brush with the wall with 50 laps remaining. Bowyer dropped to 15th but climbed to 11th by the time the checkered flag fell. With the combination of SHR, Ford and a strong No. 14 team, Bowyer is a good bet to better that finish Sunday. What is the mindset of drivers and team after leaving Daytona? Will stage racing be more important at Atlanta?